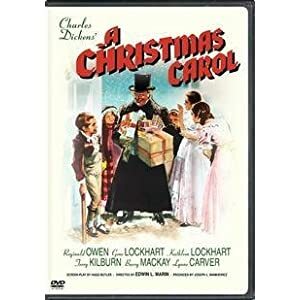 Every year we start the holiday season by watching as a family the 1938 version of A Christmas Carol by Charles Dickens starring Reginald Owen, Gene Lockhart and Kathleen Lockhart, the parents of June Lockart who played one of the daughters in the movie. Later on she starred in two of my favorite shows growing up: Lassie and Lost in Space. I know there are newer versions of this classic and even watched a little of Jim Carey’s A Christmas Carol in 3D at my friends Jonathan and Abby’s house this weekend but as amazing as the 2009 version is technically, give me the 1938 version with Terry Kilburn as Tiny Tim. If you need a dose of Christmas spirit, this film is the right recipe. This post is from contributing writer and friend Chef Mark Vogel. I want to thank him for sharing it with us and describing eloquently a little Dicken’s history and his recipe for Colcannon. Charles Dickens (1812-1870) is indisputably one of the most renowned and beloved authors of Victorian Age England. He virtually resurrected not only the celebration of Christmas, but the nature of that celebration. Thanks to the Puritans and their anti-pagan paranoia, the commemoration of Christmas was suppressed. It was a dour holiday, solely focused on the church, and devoid of any form of merriment. Christmas dinner became a time honored tradition and epitomizes the secular meaning of Christmas, i.e., the richness of friends and family. Christmas dinner is a time to exult with our loved ones and cherish their importance to our lives. As I’ve said so often, food is so much more than physical nourishment. It is a vehicle by which we celebrate the most meaningful things in life. Every Christmas-observing culture on the planet has special Yuletide foods. One of the dishes made by Catherine for Christmas was colcannon. Colcannon is a mixture of mashed potatoes, cabbage, (or sometimes kale), some type of onion, butter and milk. Originally an Irish recipe, colcannon was an economical and provincial dish eaten throughout the fall and winter when fresh green vegetables were unavailable. It saved many a peasant from hunger when money and other fair weather foods were scarce. By the 18th century it found its way to Scotland and England, and eventually to the Christmas dinner table. Despite its pedestrian roots, it is said to have been a favorite amongst the upper class in England as well. Similar concoctions of potatoes and cabbage can be found in other European countries and Russia. There are varying theories as to the etiology of its name. One posits it arose from the Gaelic term “cal ceannann” which translates as white headed cabbage. Another asserts it is derived from cole, an old word for cabbage (as in coleslaw), and cannon, the artillery weapon. It is said that Irish peasants used cannonballs to pulverize their vegetables into a mash. 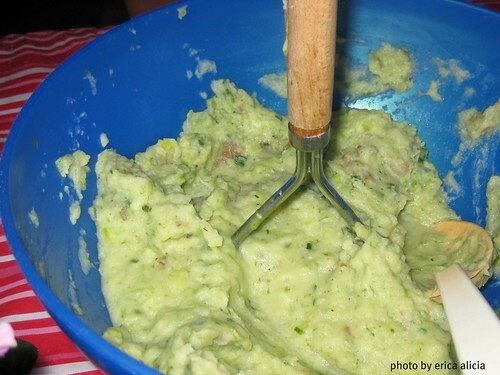 Although associated with Christmas, colcannon was traditionally enjoyed by the Irish on Halloween. Some families would leave out a plate of it for the spirits. According to the Oxford Companion to Food, (Oxford University Press, 1999), Colcannon was used for the purposes of marriage divination. Irish cooks would hide charms in the admixture. If a girl was lucky enough to find a charm in her serving, it was interpreted as a portent of marriage. Other accounts claim that specific charms with unique meanings were hidden in the dish. For example, a button meant that you would remain a bachelor while a thimble destined you to be a spinster. Coins naturally, foretold future wealth. Colcannon is simply produced by making traditional mashed potatoes, sautéing the onion, chopping and boiling the cabbage and then combining everything. I prefer to sauté the cabbage with the onion. Sautéing will always add a greater depth of flavoring than boiling. The type of cabbage you employ is not vital. I’m also liberal in my use of butter but you can adjust accordingly. Likewise, milk is too wimpy for my dissipational constitution so like straightforward mashed potatoes, I use cream. Boil the potatoes in salted water until tender, mash them and set aside. For extra fluffy potatoes run them through a ricer. Meanwhile, cut the greens and root end off the leeks and discard. Cut the white parts in half vertically. Fan out the leaves and thoroughly rinse them under running water. Slice the whites crosswise. In a large skillet, sweat the leeks and cabbage with some salt and pepper in half of the butter until softened. Watch the heat and cook them gently. Avoid burning the butter or browning the vegetables. With a spatula, scrape out the leek/cabbage combination and all of the butter from the skillet into the pot of mashed potatoes. Add the remaining butter, cream and additional salt and pepper if necessary. Mix everything with a spoon and return it to the stove to heat everything through. Serve with an ample amount of Yuletide joy with family, friends and the Ghost of Christmas Present.